I have talked before about how much I love my Venta Airwasher, and I have to say over the spring and now moving into summer I am even happier with it. We have had quite few winds and situations with our weather where it is dry and hot and pretty miserable, all of this has also blown pollen freely through every tiny hole it can get into right into our house. 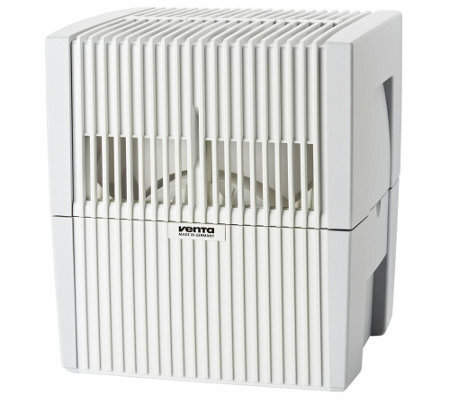 With allergies and asthma here it is difficult enough to control our symptoms and if we did not have the Venta Airwasher, I am not sure we would have made it through as well as we did. Destini has done significantly better when she sleeps in the room with a Venta and I know that the difference is largely related to it as if she sleeps in the other room with her dad her allergies are worse and she has more wheezing with her asthma. I have also noticed that we all seem to be feeling better this spring over last. Most people do not think that they need a humidifier, but I am here to tell you that for us it has made a huge difference in our sinus and allergy symptoms. When my husband caught a cold we used the Eucalyptus Scented oils and it really made a difference in the amount of congestion he felt. If you have not seriously looked at these airwashers, I ask you what are you waiting for? I really believe in this product, I just love this machine, its low maintenance, it works well, I have never had a mechanical issue with it, and it is easy to take care of. You rinse it out once a month and wipe it out and you are done. It really makes a difference in our lives every single day and I think that if you have any allergies, asthma, sinus, or dryness issues this is the best answer. I will not even let mine run out of water, I keep it filled all the time so that it is running and in top shape. You can check out everything that Venta offers at their website, and they are great about answering any questions you may have. Next post: A Watch for All Seasons! Men want to stand out from the crowd!